There are so many different ways to find candidates. The variety of searches and candidate sources make it worthwhile to try these different methods out. But not all methods are created equal. And some don’t have all the information in once place. What about location, for example? Sure, these great searches will find you many candidates, but what about candidates in your part of the pond?If you are someone who sources all the time in your job or only part of the time, you still want to get as much information as you can for these searches. It was a whirl-wind adventure visiting Sydney, Melbourne, and Auckland within the space of 10 days while speaking at a conference in each city. I wanted to share my observations with everyone about the state of sourcing over there, the industries they focus on, the types of reqs they get, and the solutions that we came up with. The reason for my semi-cheesy picture on this post is for a very good reason. The 2 speakers that I was with had some very good content woven into their presentations. Matt Charney presented the reasons why recruiting is so far behind marketing in terms of messaging and content. And this included the USA! The message was simply (and brilliantly): recruiting = marketing = sourcing = recruiting. Anyone who argues against that fact doesn’t understand their job very well. While having an email exchange with my friend Lisa Amorao (@leese), she mentioned to me a certain req that she needed filled. As we talked, I figured out that this was a req unlike most. As we went back and forth about what she was looking for, I was reminded about always sticking to the sourcing process, no matter what the req. 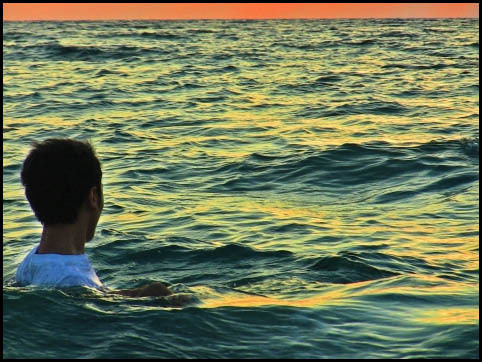 Here’s a quick background about Lisa for the story: Besides being an avid Social Marketer in the staffing industry, Lisa is also an open-water / cold-water swimming fanatic. Whether it’s around the SF Bay Area, or anyplace that she travels to (provided there’s a nearby ocean), she will be there swimming. She mentioned to me that she needed to find a Cold-Water Swim Coach, or as she put it, a Cold Water Sherpa. That’s right, ladies and gentlemen! It’s Tool Time! That is, tools for your web browser and tools to help automate your sourcing life. 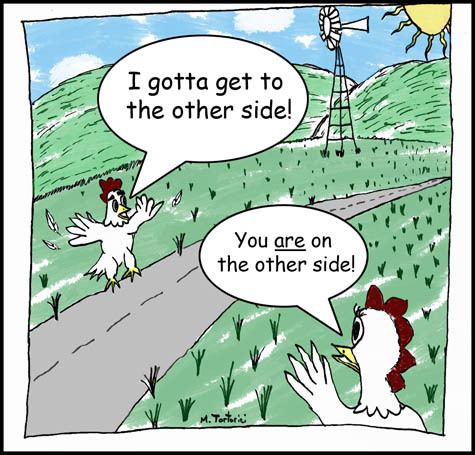 Last week at a conference, I was talking to a like-minded sourcing guru/technophile. You know him by his real name: Dean Da Costa. As we talked about sourcing tools, add-ons, extensions, and whatnot, we talked about blocking domains from search results on Google. Now for years I have used a Greasemonkey (or Tampermonkey for Chrome users) script called “Google Domain Blocker”. It’s a very cool script that blocks domains of your choice from showing up in your Google results. But after my conversation with Dean when I told him about the Greasemonkey script, he told me about Personal Blocklist (by Google). This new extension is a very good thing. Not only is it a one-click effort to add it to Chrome, but just like with the Tampermonkey script, you can import & export your list of blocked domains. And also, it’s apparently made by the big G.
Hiring Technical Recruiter or Sourcer with agency background experience has always been a trend. Why is this? What are the skills that agency recruiters and sourcers have that make them appealing to leaders of corporate staffing teams? Also, if you do work on the agency side but want to break into corporate, what do you have to do? Do you possess the skills that will make you marketable to a staffing team on the corporate side? Of course, just because you work at an agency doesn’t guarantee that you are instantly AWESOME. You still have to be good at your job. Here are some of the transferable skills that are needed in order to cross over to the other side. And why corporate staffing managers should pay attention. 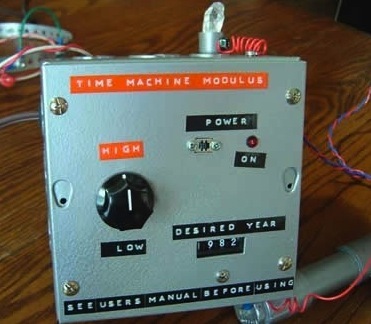 Time management – I you’re thinking: Well yeah, duh!!! Of course recruiters have to be good at time management. But agency staffers have to source, recruit, and submit candidates for new jobs opened THAT DAY. Sometimes within a couple of HOURS! Competitive – Of course everyone in staffing is competitive. Companies are all vying for the same top talent and there is only so much to go around. But in the agency world, you are normally competing with 30 or so staffing agencies on the SAME JOB. You can bet agency staffers are competitive and FAST. Their ability to identify, qualify, and submit candidates quickly is their livelihood. All around technical knowledge – Most corporate recruiters and sourcers work within a single vertical or group. They usually have 5 to 10 open reqs they are working for the length of their stay at the company. Agency staffers receive multiple new reqs each day from a wide variety of clients. This means over the course of a few days, a recruiter could work on an IC Design Engineer, a Software Validation Engineer for a biotech company, then move on to a Techno-Functional Oracle ERP implementation consultant, tackle a DevOps engineers with cloud platform experience, before finally wrapping up with a Finance Manager who has EFT / ACH systems experience. Ability to work without hiring manager req intake meetings– Because many agencies are RPO, VMS, or contingency-based, they often times have no contact with the hiring manager. They do not typically get clarification, job insights, or what’s written between the lines of the req. Because of that, agency recruiters and sourcers must use their experience, instincts, and research skills in order to figure out the correct angle when working a req. 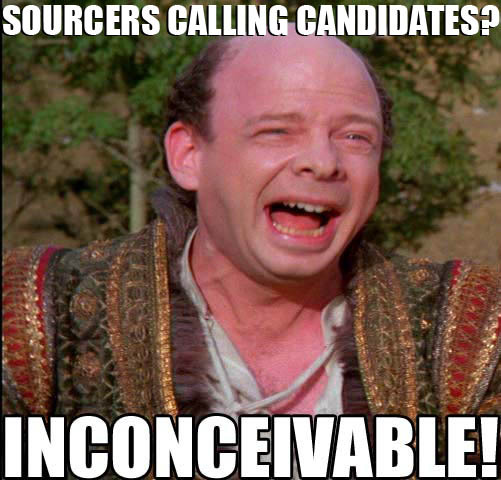 When the Boss Asks for the Inconceivable: Sourcers Must Call Candidates! Fear not, true believers! This is something that you have experience with already. It’s called: communication. You’ve been doing it your whole life since you could talk and believe it or not, it’s been with people that you’ve never spoken to before. Of course as we grow older from our childhood into adults, there are seemingly more roadblocks, timing issues, and weird personalities to deal with. But really it still boils down to a simple exchange of information between two people.